Seattle-area Non-Denominational Christian Community Church - Men's & Women's Ministries, Youth & Children's Ministries, Small Groups, Alpha, Worship and more - come and join us! Seattle-area Non-Denominational Christian Community Church - Men's & Women's Ministries, Youth & Children's Ministries, Small Groups, Alpha, Worship and more - come and join us! No matter where you find yourself in your life's journey, our McKinney, Texas location is a place where you will experience the love, grace, mercy and forgiveness that He extends to everyone. We'd love to have you be a part of our family this weekend. No matter where you find yourself in your life's journey, our McKinney, Texas location is a place where you will experience the love, grace, mercy and forgiveness that He extends to everyone. We'd love to have you be a part of our family this weekend. No matter where you find yourself in your life's journey, our Frisco, Texas location is a place where you will experience the love, grace, mercy and forgiveness that He extends to everyone. We'd love to have you be a part of our family this weekend. No matter where you find yourself in your life's journey, our Frisco, Texas location is a place where you will experience the love, grace, mercy and forgiveness that He extends to everyone. We'd love to have you be a part of our family this weekend. We at the Celestial Church of Christ celebrate in the presence of the Lord and enjoy our fellowship at His hand. Meet us at the Hephzibah Family Cathedral Parish in Indianapolis. We hold a Glorious Service every Sunday at 9:00 AM and are happy to welcome new brothers and sisters into our Church. For more information, you can also call us at (317) 241-2260. We hope to see you soon! We at the Celestial Church of Christ celebrate in the presence of the Lord and enjoy our fellowship at His hand. Meet us at the Hephzibah Family Cathedral Parish in Indianapolis. We hold a Glorious Service every Sunday at 9:00 AM and are happy to welcome new brothers and sisters into our Church. For more information, you can also call us at (317) 241-2260. We hope to see you soon! Dr Jerome Anekwe the Founder and Senior Pastor of Destiny Christian Centre. Since it began in October 2010 DCC has grown rapidly with congregations in 21 churches in 2 continents of the world. Dr Jerome Anekwe the Founder and Senior Pastor of Destiny Christian Centre. Since it began in October 2010 DCC has grown rapidly with congregations in 21 churches in 2 continents of the world. Discovery Christian Church in Cranberry Township PA & South Side Pittsburgh. Sunday Meetings in the Morning and Evening. Kid Quest Children Programs & Activities In the Summer. Discovery Christian Church in Cranberry Township PA & South Side Pittsburgh. Sunday Meetings in the Morning and Evening. Kid Quest Children Programs & Activities In the Summer. OneLove Church is a great community serving both Eugene and Springfield Oregon. OneLove Church is a great community serving both Eugene and Springfield Oregon. You can tell by our name that we are not like other churches in Phoenix. We have a desire to touch the Phoenix valley with the Gospel of Jesus Christ and with the power of His Spirit. We have a passion for giving the Word of God to people and watching that Word secure their eternity in heaven, heal their bodies, prosper them, and change their lives in every way. You can tell by our name that we are not like other churches in Phoenix. We have a desire to touch the Phoenix valley with the Gospel of Jesus Christ and with the power of His Spirit. We have a passion for giving the Word of God to people and watching that Word secure their eternity in heaven, heal their bodies, prosper them, and change their lives in every way. Relevant Church is a church in Riverside California. They are an evangelical church that offers Christian Counseling. 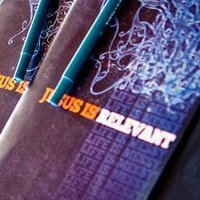 Relevant Church is a Non-Denominational Church. Relevant Church is a church in Riverside California. They are an evangelical church that offers Christian Counseling. Relevant Church is a Non-Denominational Church. Founded in 1821, First Church is the oldest Protestant church in Pensacola and the oldest Methodist church in Florida. This historic church with four Sunday services has a membership of 3200 and is overflowing with life. Founded in 1821, First Church is the oldest Protestant church in Pensacola and the oldest Methodist church in Florida. This historic church with four Sunday services has a membership of 3200 and is overflowing with life. The heart of Summit Church is to please God by telling others about Jesus, investing in relationships, and in serving others. The heart of Summit Church is to please God by telling others about Jesus, investing in relationships, and in serving others. St. Mark's United Methodist Church, a Lincoln Nebraska Church that has served the Lincoln Nebraska community for over 100 years. They are one of the largest churches in Nebraska. St. Mark's United Methodist Church, a Lincoln Nebraska Church that has served the Lincoln Nebraska community for over 100 years. They are one of the largest churches in Nebraska. Oasis Church is a non denominational contemporary church located in Mountainside, NJ. Oasis Church is a non denominational contemporary church located in Mountainside, NJ. Love. Grow. Serve. Three simple words that define everything we do. Join our worship services, community groups, fun activities, outreach events, missions work, and service projects. Love. Grow. Serve. Three simple words that define everything we do. Join our worship services, community groups, fun activities, outreach events, missions work, and service projects. Our ministry is directed toward families & churches. Our goal is to help parents build strong families and help pastors build strong churches. It is our desire to help all generations grow in their love for Jesus and their relationship with God. Our ministry is directed toward families & churches. Our goal is to help parents build strong families and help pastors build strong churches. It is our desire to help all generations grow in their love for Jesus and their relationship with God. Grace United Methodist Church in Parksley VA Believes We Are Ambassadors For Christ. We Look to The Bible and Christ to Give Directions to Our Lives. Grace United Methodist Church in Parksley VA Believes We Are Ambassadors For Christ. We Look to The Bible and Christ to Give Directions to Our Lives.